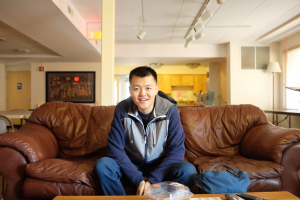 Yu and Zilong lived at International House Ann Arbor from 2013-2014. As a couple, they lived together in Apartment 107 on the second floor. Yu was a graduate student at the Lieberthal-Rogel Center for Chinese Studies and earned her Master’s degree after that. Zilong received his Master’s degree in Applied Economics. After graduating, they returned to China. Yu speaks for both herself and Zilong in her thoughtful answers to the questions below. How did you discover International House Ann Arbor? What attracted you to International House Ann Arbor? What did you love about International House Ann Arbor? How did living at IHAA help your career? What’s the best thing you learned from the IHAA Program of Global Engagement for Understanding? Do you recommend living at IHAA? 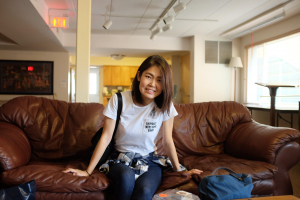 “I strongly recommend IHAA to others, especially international students. I would love to tell current residents how lucky they are to have chosen this place to live and learn together, if they haven’t already noticed. We would definitely stay at IHAA if I we ever get the chance to live in Ann Arbor again. In fact, we always try to layover in Detroit when we travel to the US, just so we can visit. What are some favorite memories of living at IHAA? Walking together to Spanish classes with an IHAA neighbor from Malaysia. Playing board games with more than ten people each from a different country. How many of us can say we’ve had that experience? Learning to make tiramisu from an Italian who led this dessert-making event. Then eating our desserts and watching television together. Talking about international politics but always in a way that respects one another.